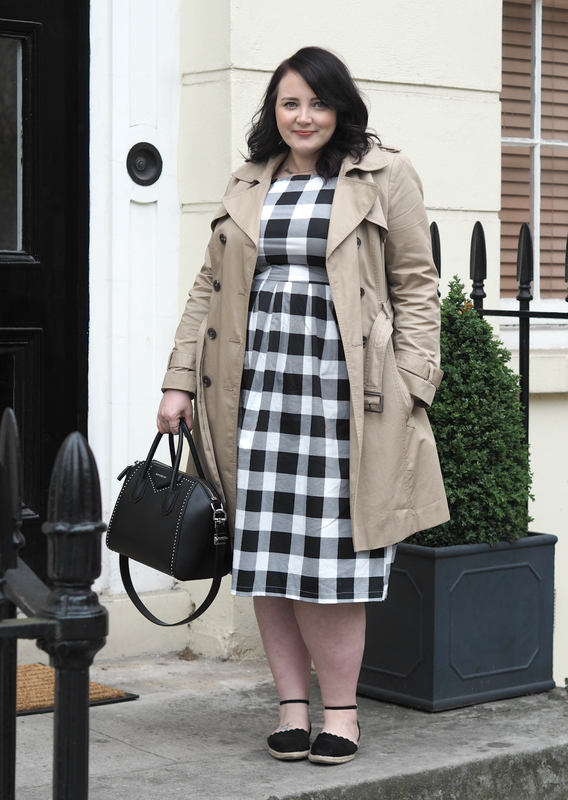 Chunky black and white checks carry an element of nostalgia; there’s something so child-like and retro that I adore, reminding me of days running around the park scuffing my knee and coming home with twigs in my hair. 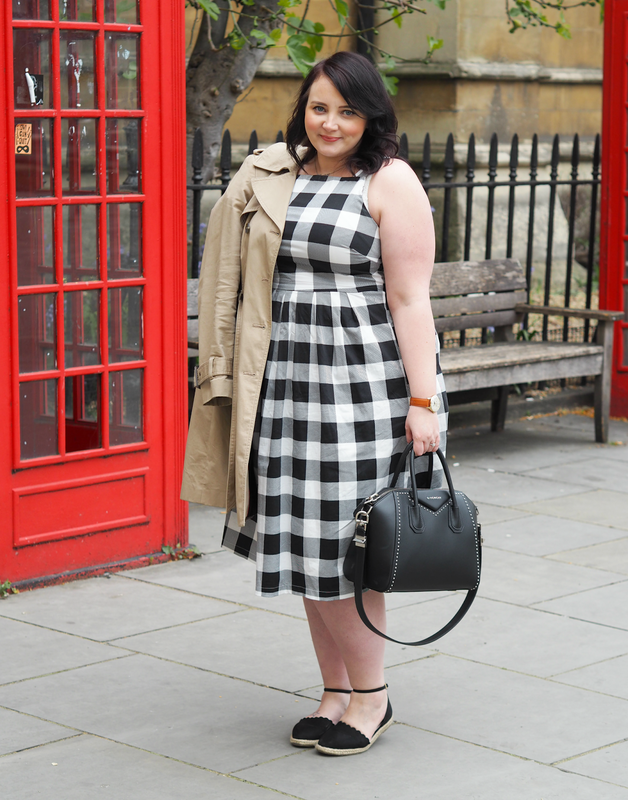 Although back in the 80’s and 90’s we wore gingham pinafore dresses and embraced a chequed dungaree, this summer the pattern is back with a modern and sophisticated twist – so much so that you can’t pass a shop window without seeing the timeless pattern brought bang up-to-date with modern accessories. 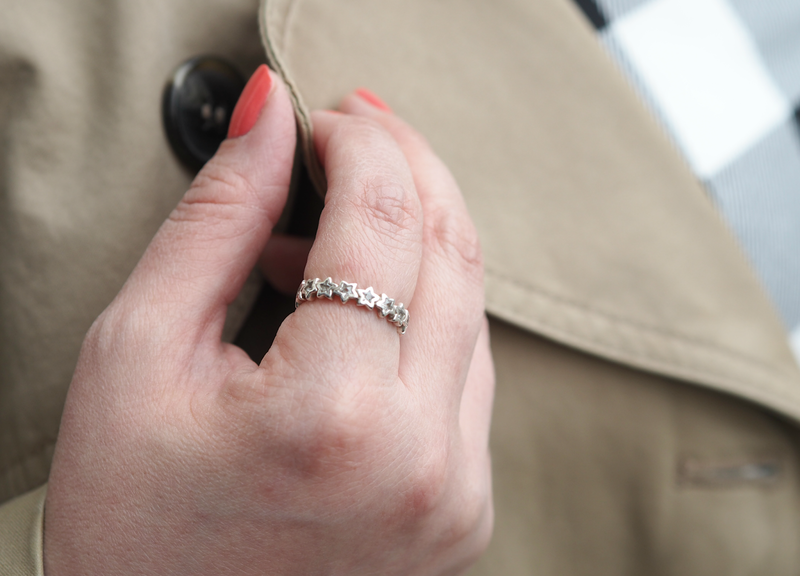 It may not quite be summer fashion weather just yet, but I’ve been transitioning into my new season wardrobe with the help of lightweight jackets and darker accessories that help make my favourite dresses seem seasonally appropriate. My dressing table is overflowing with rings, bracelets, necklaces and watches, but ever since I got engaged I’ve been sticking to the little trinkets that really mean something: including my 21st birthday present from my Nan (the ‘Hayley’ necklace that remains one of my most treasured possessions,) a bracelet Josh gave me with the day we met engraved within, a star ring from Pandora my mum got me for Christmas a couple of years ago and my charm bracelet that holds so much sentiment. 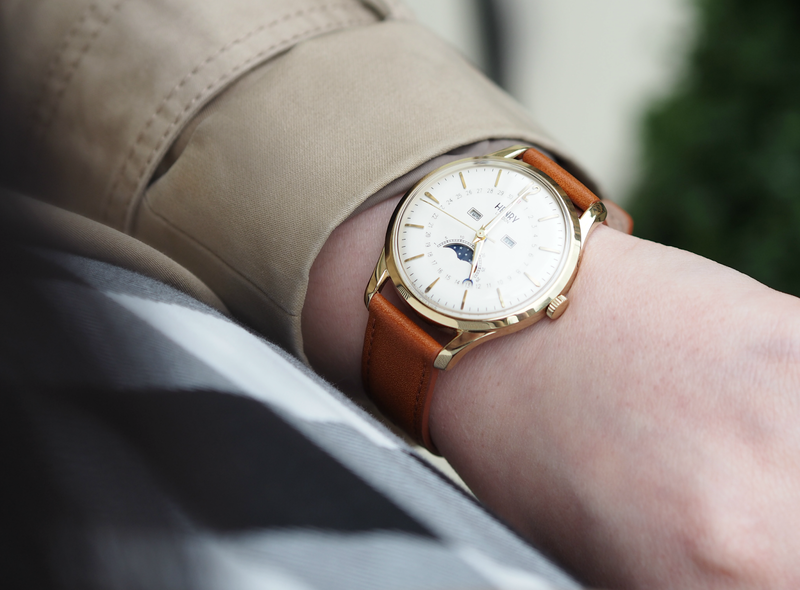 I’ve also been wearing this tan Henry London ‘Westminster’ watch that actually tracks the movement of the moon, perfect for any astrologers among you! Although I’m not really sure how it works or what it means, it definitely makes the timepiece a touch more unique. 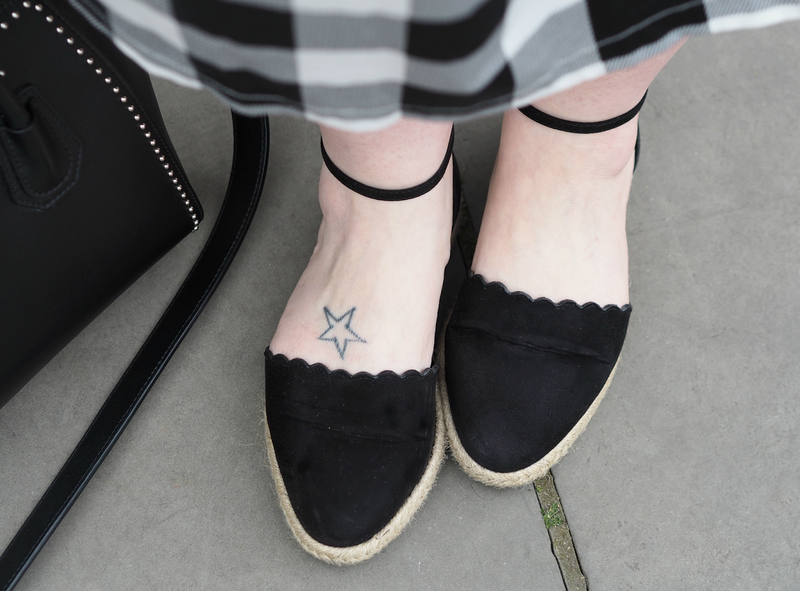 So many of my favourite bloggers have been styling up an espadrille recently, but I always felt it was a bit too chunky for my non-skinny ankle. 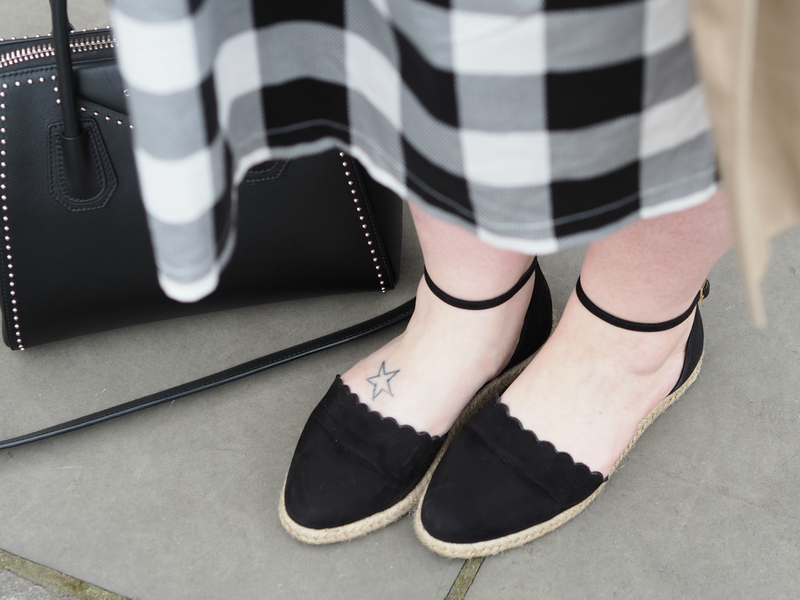 The ties have always put me off, but when I found this sandal-shaped espadrille it ticked all the boxes while remaining comfy and flattering; I far prefer an ankle strap rather than a tie, plus the woven sole gives it a soft edge that helps to transition my looks from one season to the next. Believe it or not, these are from Faith (via ASOS) and only cost £25.00 – a brand from my teenage years I’d totally forgotten even existed. 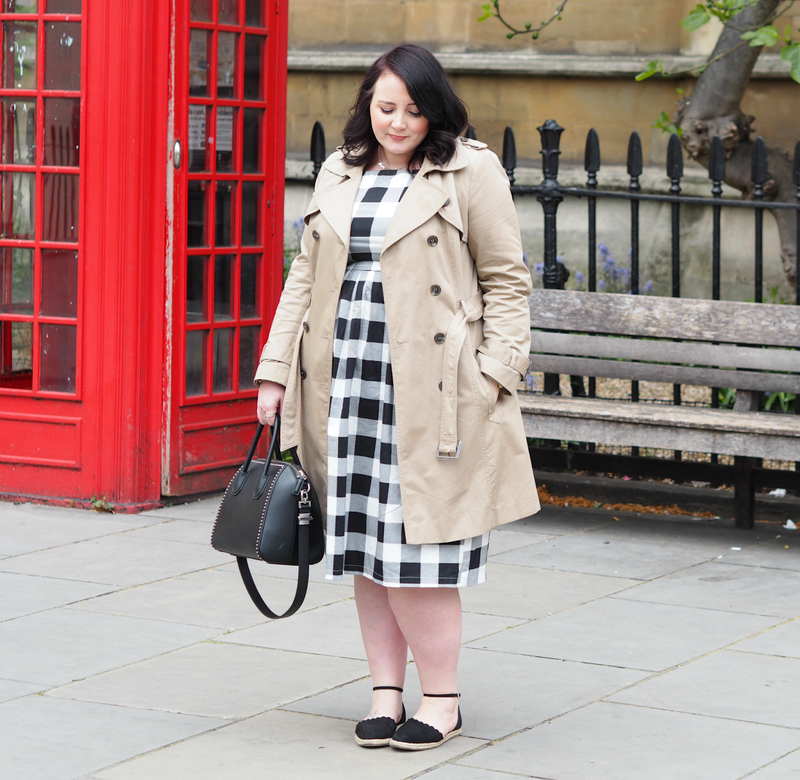 Who doesn’t love a classic camel coloured trench? 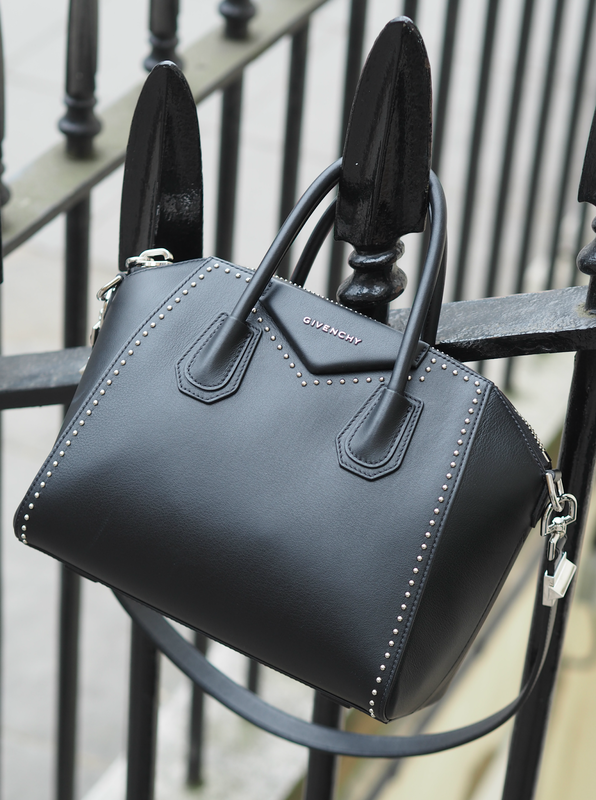 I’ve been meaning to treat myself to a Burberry one for years, but with so many great style on the high street it’s hard to justify. 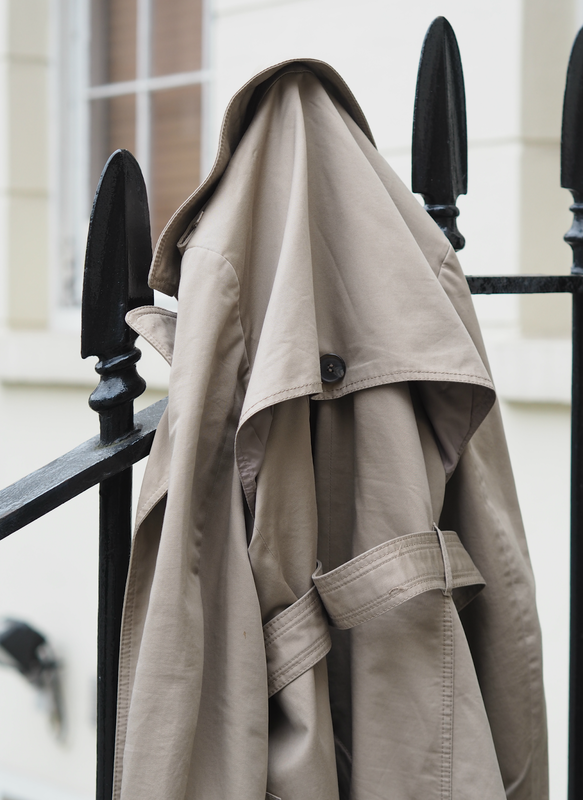 This jacket is from M&S and has seen me through a couple of summers already, but they still have plenty of similar styles in store and online; the material is great quality and always washes up really well, while the buttons and belt are hard to differential from designer brands. 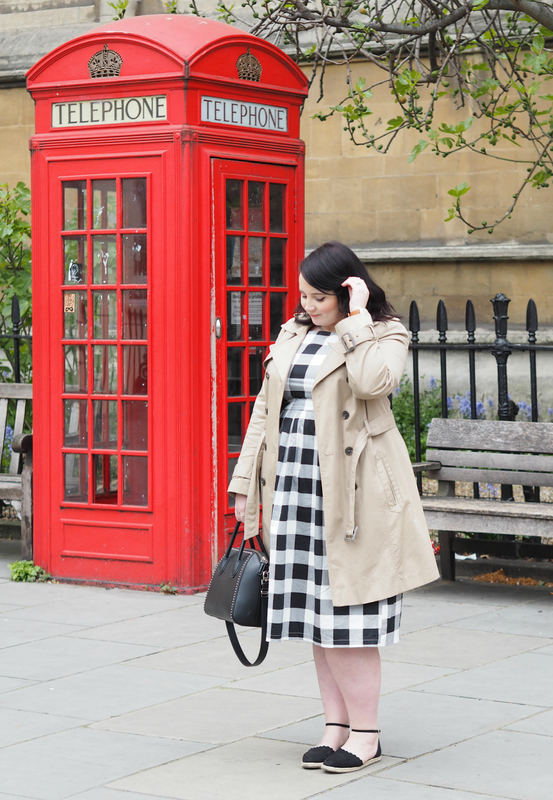 It’s the perfect effortless coat for chucking over any outfit to keep you warm, without educing a sweaty outbreak as soon as you get on the tube. 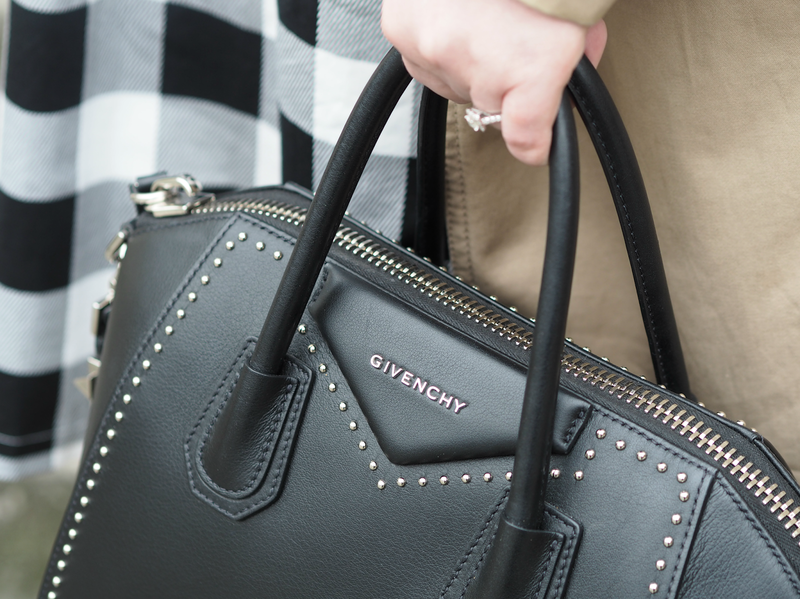 Pair it with my favourite Givenchy bag and it’s springtime fabulous. 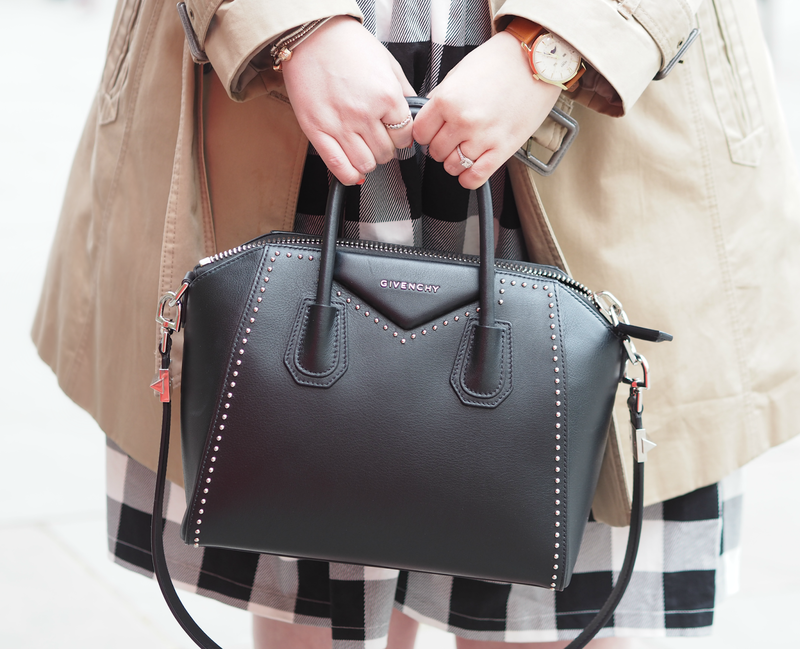 Thanks to Kirsty from fashionforlunch.net for taking the photos! 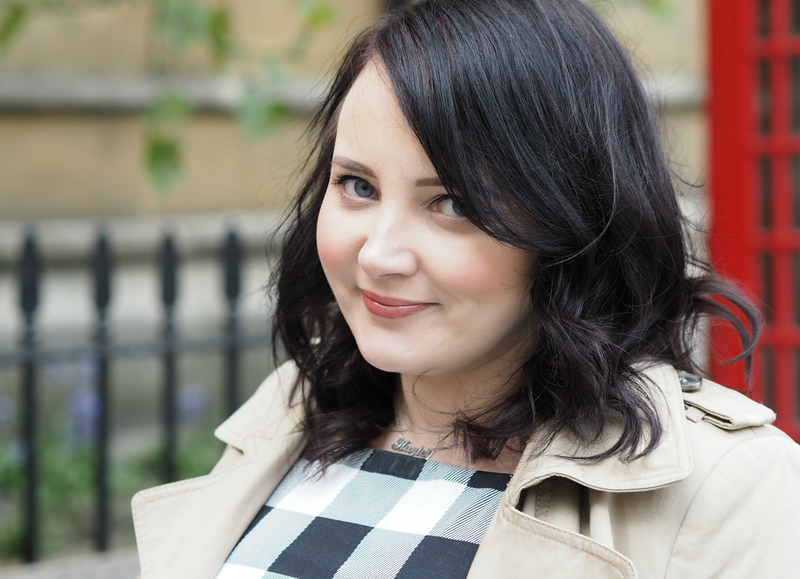 Previous Post Reaching Beauty Lethargy: What Do You Do When A Beauty Blogger Gets Burnt Out? Thank you! 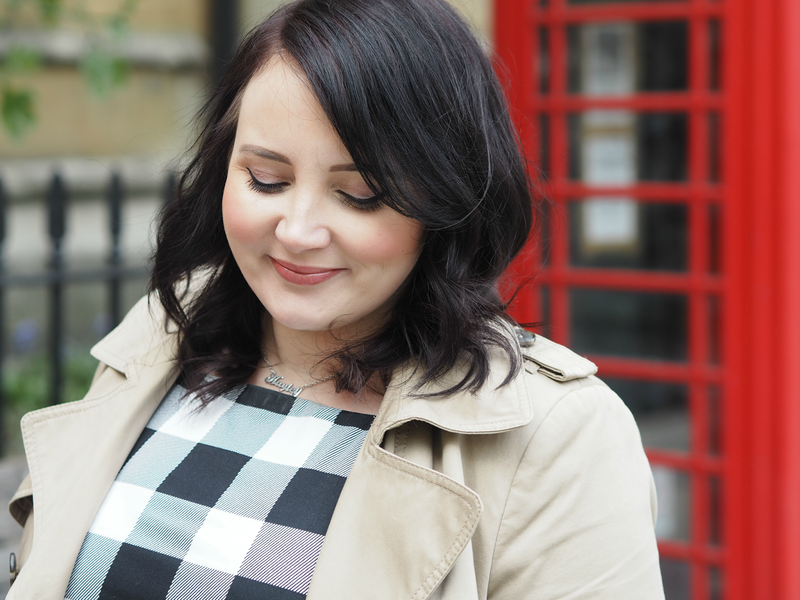 And yes it is… I also spy a red phone box in your profile photo! 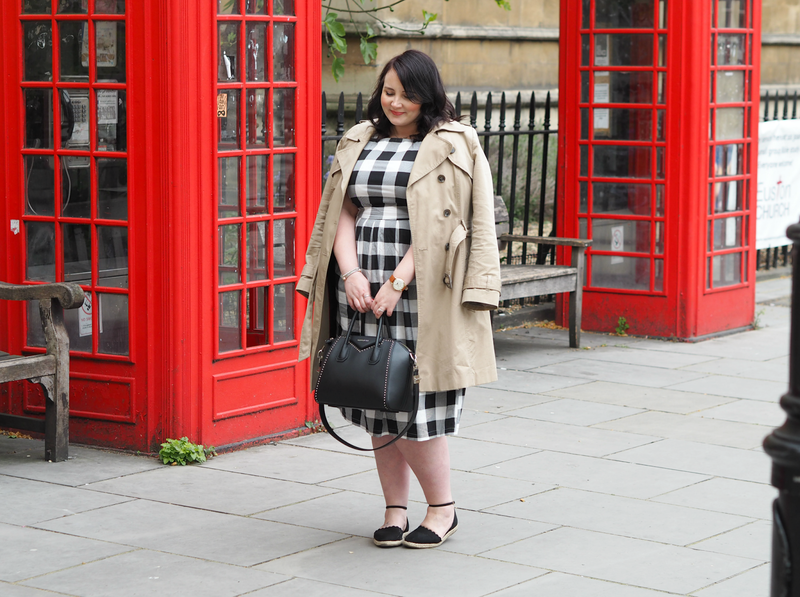 Beautiful photos Hayley, need some gingham in my life!